The prolonged uncertainty over Brexit has agonised the travel sector and left business leaders in limbo. Bright spots are few, but the trade is hopeful that Asia, with its strong value proposition, could be a winner arising from Brexit’s shambles. The March 29 Brexit deadline came and went, but the UK – and everyone else – is none the wiser about what to expect in coming weeks and months as uncertainties continue to surround Britain’s departure from the EU. At press time, British lawmakers still failed to coalesce around a single proposal in indicative votes on the process of leaving the EU, with the UK now on course to leave the bloc on April 12 or May 22, depending on the agreement terms ratified. 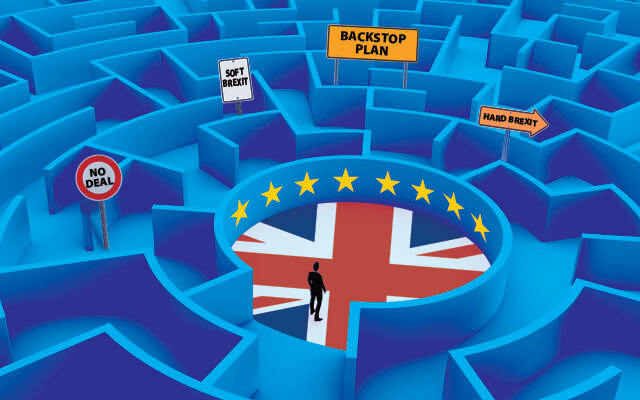 What frustrates many in the travel and tourism business is the lack of a clear Brexit outcome – hard, soft, on hold or no deal – as the country continues to be paralysed by political division since the UK public voted to clear the EU in June 2016. Travel industry members are cautious in speculating what this may mean for business coming into Asia, although the current uncertainty about Brexit and weakening pound appear to make Brits think twice – and longer – about booking longhaul holidays. “Brexit opens up two levels of uncertainties. On the consumer level, travellers are not sure what’s going on and how it would affect them personally; on the trade level there will be more uncertainty over currency issues, with the pound already hit really hard a bit ago, will there be even further impacts?” asked Willem Niemeijer, CEO & co-founder, Khiri Travel. “The UK is our largest market at Exo Travel so we are watching the situation carefully,” said Hamish Keith, CEO of Exo Travel. In January, IATA warned that up to five million flights would be at risk if the UK leaves the EU without a deal. A no-deal Brexit was feared to see airlines capping flights at 2018 level, although tickets for 2019 routes were already on sale. Late last month, the EU reportedly stated its intentions to lift this cap. Research by Oxford Economics projected that a no-deal Brexit would cause a five per drop in UK outbound travel and tourism trips in 2020, as a result of the stifled economic backdrop and impact of a weaker pound. On the other hand, the weaker pound could mean that UK tourism inflows are four per cent higher in a no-deal scenario, provided there is no travel disruption. On whether these uncertainties could translate to speculative buying of Asian holidays in the short term, trade opinions are spilt. Meanwhile, a potential slump in the UK economy and currency are larger concerns. “Nobody knows yet what the result of Brexit might be. Does it happen in March, June, or ever? Will they hold another referendum? The only risk I see is there might be less Brits travelling at all, whether to Europe or to Asia,” said Wiegand. Kevan suggests that senior travellers are likely winners, as they are free from concerns of job security and dependents, and have a bigger travel window that is not tied to specific dates and can be enticed with longer stays with better value. Losers, in his opinion, are likely to be those in the 25-55 age group, as they will be hit by job concerns and uncertainties, less disposable income, and any increase in bank interest rate. But Keith is positive that the UK market will continue to do well in the longer term when a greater level of clarity is achieved. “Holidays and travel are still a priority for the British and some recent surveys are indicating that longhaul travel are still experiencing strong growth driven by increased availability of cheaper longhaul flights and a desire to travel outside the Eurozone, particularly to Asian destinations where there is still good value to be found. “The bottom line is that Brits will continue to travel no matter what happens with Brexit,” he surmised.